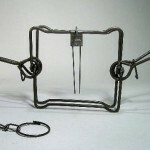 BODY GRIP 160 6" X 6"
TRAP DESCRIPTION: Bodygrip Traps are square, heavy steel traps which have two springs designed to hold strong animals. These traps come in different sizes. This is the 160 and has double springs. 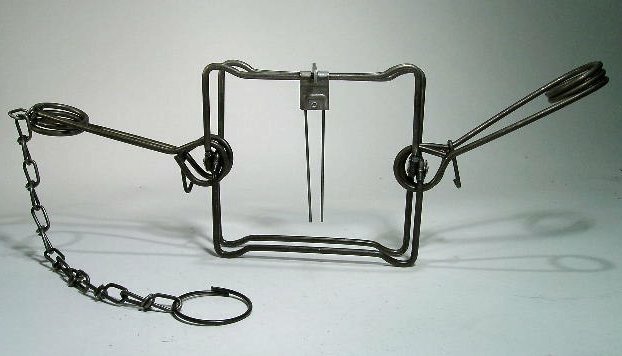 Unlike the coil traps we sell these traps are actually kill traps used by many professional trappers to get rid of nuisance wildlife. WHERE TO USE IT: Bodygrip traps can be set many different ways. The key to a good set is having the trap placed in the path of the target animal so it must attempt to pass through the trap. Such locations include holes in fences, deck trellis, crawl spaces or sheds. Comments on BODY GRIP 160 6" X 6"
Works well for prairie dogs! I have had them set up for about a week now and have got about 10 of them. Just a little difficult to set.